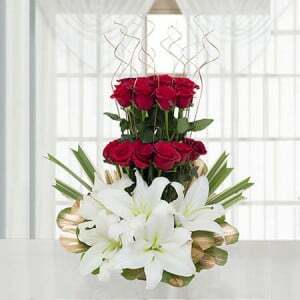 A wonderful basket arrangement of 50 red roses with seasonal fillers along with 1kg chocolate cake. 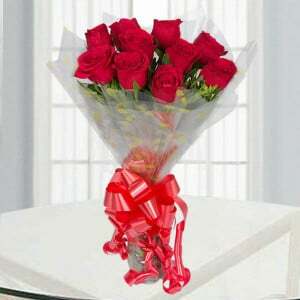 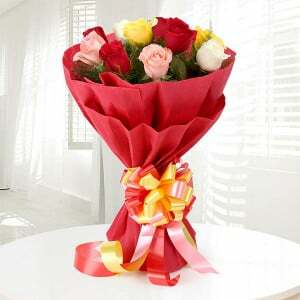 If your girlfriend or spouse loves red roses, then you can present her Big Love bouquet and 1kg chocolate cake. 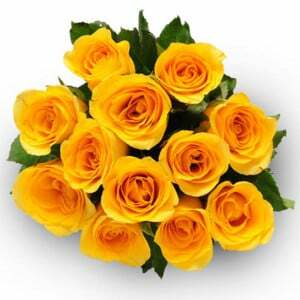 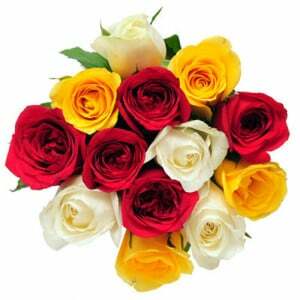 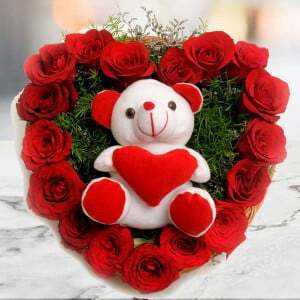 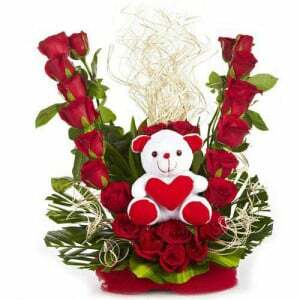 An attractive basket arrangement of this gift has 50 red roses. 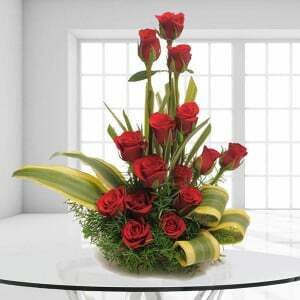 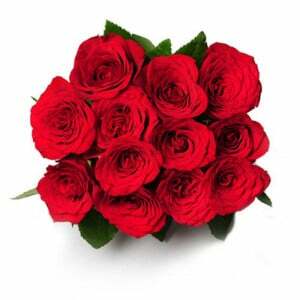 These fresh red roses reveal your love and make you happy at all times. 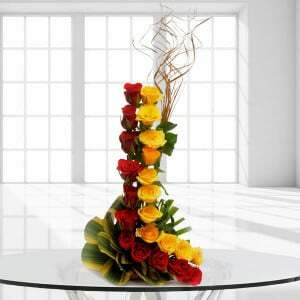 The most gorgeous elements are available in this gift.